East Carolina Chrysler Dodge Jeep Ram in Greenville, North Carolina is here to get you into a Dodge vehicle at a price you can afford! Whether you've considered a Dodge lease before or not, we promise they're worth a look. From lower payments to greater financial flexibility, getting into a new model year after year has never been easier, or more fun. Learn more about our Dodge lease options today at our Greenville, NC location! Leasing a Dodge car, minivan or SUV means finding yourself in an American-made machine that will preform. 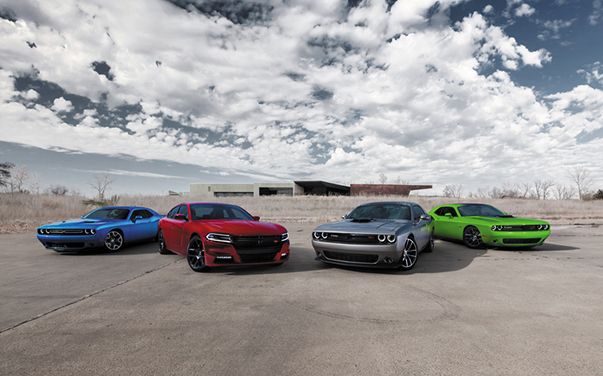 From the iconic Dodge Challenger to the Dodge Journey SUV, the vehicles available at East Carolina Chrysler Dodge Jeep Ram in Greenville, NC are a sight to behold. If it's space you're looking for instead of muscle and sport-utility, the Dodge Grand Caravan minivan might be the best option for you. Visit our showroom today to learn more about each model and to schedule test drive with our sales team! A Dodge lease means greater financial flexibility too, and that's something we're proud of at East Carolina Chrysler Dodge Jeep Ram in Greenville, NC. Visit our automotive service center today to learn how we can use our Dodge lease options to help you get the year and model you want, all at a price you can afford. Call us today or simply stop by our Greenville, NC today!